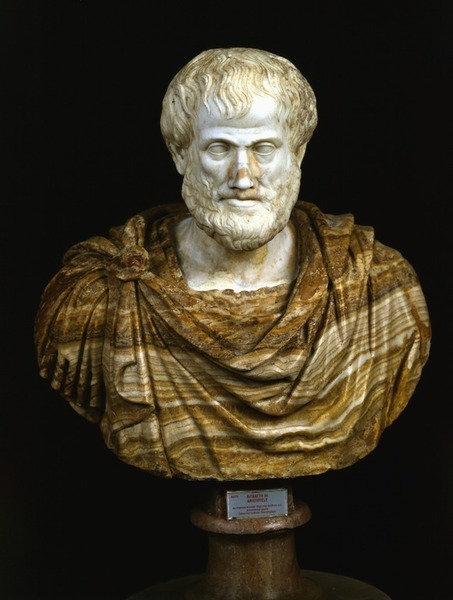 Aristotle’s Metaphysics: ousiology and theology. In the previous article we have introduced Aristotle’s Metaphysics and its division in four disciplines: etiology (search of the first causes), ontology, ousiology, and theology. As we have already treated the first two, in this article we complete this introduction to Aristotle’s Metaphysics introducing ousiology and theology. Let’s present ousiology with the example of a cat. The messy and chaotic matter, in its infinite multiplicity and continuous transformation, could not become a “cat” without an external principle. We can imagine to include in a tank all the chemical components of a cat in the right proportions: hydrogen, carbon, oxygen, nitrogen, iron, calcium, etc. We can close the tank and shake it well. I am sure that even if we would shake it for as long as a billion years or more, the contained atoms would not ever casually combine to shape a cat. Hence, matter by itself is not enough to generate complex and coordinate structures. Plato therefore identifies the need to introduce in his system a “form” of cat, or an idea of cat, whose function is to organize matter (see note 1). According to Plato, in a metaphysical hierarchy of reality there is a functional flow of ideas from the top, where the most abstract, most general, and purest ideas abide, down to intermediate levels of more detailed and particular ideas, and further down to the bottom level, where the ideas are applied to matter. Aristotle took a different approach. Let’s consider Fuffy. He is a cat. The cat is a feline. A feline is a mammal. A mammal is a vertebrate. A vertebrate is an animal. We could detail this classification even more. In this process of multiplication of levels we should ask ourselves if it is proper to associate to each grade a more general and purer form. In other words: does a metaphysical entity “idea of vertebrate” really exist, which generates an idea of mammal, which contains the idea of feline, which is followed by the form of a cat, that eventually is materialized in Fuffy? According to the Areopagite not all the ideas we meet in the intellective process have an ontological value, but they are γένος (genos), genre, that means abstract terms with a logical function rather than a metaphysical value. These abstract terms are called universals: they are not platonic ideas but abstract entities that are even less real than Fuffy himself. Universals are useful to the human cognitive process, which is studied for the first time by the new logic of Aristotle, the new discipline whose subject is the logos. The approach of Aristotle is in contrast with Plato because it confers more reality to multiplicity and reduces the reality of general terms as universals. However we need to observe that according to Aristotle the human soul is confirmed to be a platonic form and to have her own ontological value: in conclusion it is not correct to believe that Aristotle is a materialist in opposition to Plato. Instead it is more correct to say that Aristotle adds to the metaphysic and deductive top-down approach, an empirical bottom up approach, as a spontaneous result of our intellectual process, which is based on the perceptible world. Universals therefore, as pure logical terms, are not entitled to be essence. But if we discard the universals, which is the essence of reality, which is the substrate, the substance which “is”? Is it the matter (the materials that are composing Fuffy), the form (cat) or the gathering of matter and form (the embodiment of the cat-form in matter)? Aristotle does not reject any of the three possibilities, but he analyzes them separately. He confirms that form is the fundamental essence of everything: the soul for the man, the perceptible soul for the cat, and so on for every animal. However, considering the objects and the living being in the perceptible world, they would not be here without matter that can receive forms. Hence, the matter itself, in a weaker way with respect to forms, is also to be considered essence. Besides, the gathering of form and matter, this is εἶδος e ὕλη, called hylomorphic or synolos, is also a kind of essence. Recalling the difference between potentiality and actuality, we can affirm that matter is being in potentiality (because it can receive forms), while hylomorphic is the being in actuality (as it has received the form). Aristotle considers three kinds of essence (form, matter and hylomorphic) in the frame of the investigation on the perceptible word, using a kind of empirical approach, in disagreement with Plato. However when Aristotle approaches essence under a metaphysical point of view, beyond natural phenomena, the result is different. In metaphysics, form is the cause of hylomorphic, and matter is a support, therefore the real essence is form, and this is in complete agreement with Plato. In other words, considering the question “what is essence?” Aristotle has two answers, depending on the frame: for physics and the investigation on the perceptible world, essence are form, matter and hylomorphic, while for metaphysics essence is form and there is no space for matter and hylomorphic as essence. A materialistic approach would have considered matter a necessary condition for essence, rejecting the immaterial and supersensible world. Aristotle is not a materialist, as he just confirms that in the perceptible world matter is needed in order to let the things be. Some centuries later Porphyry embraced a big deal of Aristotle’s theory and developed an explanation of the incorporeal entities. These are divided between being and not-being. 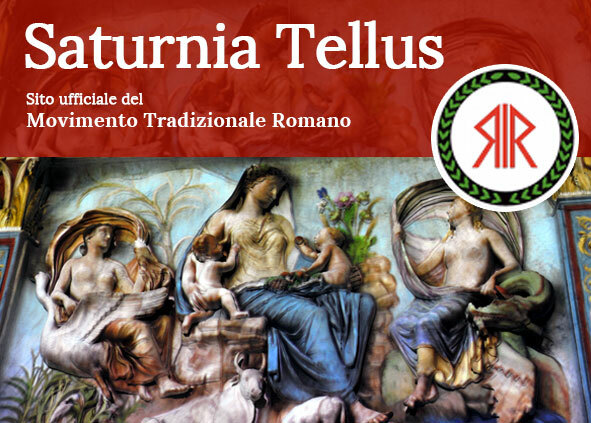 Beings exist in an independent matter with respect to matter, as intelligible substances, while not – being need the support of matter for their existence in the sensitive world, and therefore they exist as synolos. Eventually Aristotle conduces a rigorous systematic approach, starting from observation of the perceptible world, and is able to postulate the existence of a supersensible essence, which is necessary to justify the essence of divinity on a supernatural or metaphysical level. Following the logical approach of Aristotle, the justification of the supersensible essence opens the possibility to Plato’s second navigation. To be precise, Aristotle identifies three substances (we remind that substance and essence are here used as synonyms). At the bottom level there are the perceptible substances, vulnerable to change, to generation and destruction, made of water, air, earth and fire (i.e. matter). In the middle level there are perceptible but incorruptible substances, that forms planets, stars, made of the fifth element, the ether. At the top level there are the motionless substances, eternal and transcendental, that is God – the Unmoved Mover and the entities that cause the motion of the planetary spheres. These substances are immaterial, this means that they are not composed by ether or by the other four elements. Aristotle’s arguments for the introduction of motionless, eternal, transcendent substances, are based on the search of the first cause, before time and movement. Hence such a cause needs to be eternal to transcend time, and motionless to transcend movement. Besides, this cause has to be purely in actuality, because if it were also in potentiality it could transform and move. Therefore the cause is the Unmoved Mover, which moves everything without moving , the final aim of the universe. Aristotle, inspired by the works of the astronomer Callippus from Cyzicus, introduced in his cosmological model fifty-five celestial spheres, moved by the same number of supersensible substances, that were second-rank divinities with respect to the Unmoved Mover, in full agreement with the polytheistic ancient vision. Plato’s disciples have considered for long time the theories of Aristotle, accepting some of them and rejecting others, in a continuous reinterpretation process. Aristotle was sometimes considered the first philosophical opponent to Plato and sometimes the most authentic disciple, as confirmed by Diogenes Laërtius. However the school founded by Aristotle left the versatility of the master and abandoned the metaphysics in favor of physics and the new sciences like zoology and botanic. It is worth to mention that also the school of Plato, at the same time, lost a lot of the inventive of its founder. The society was radically changing after the conquests of Alexander the Great, while the Greek polis was overwhelmed by the new world organization based on oriental monarchies, where people were not free citizens in the agora, but subject to the king. Culture, mind, world perception chanced. Greek language was not immune to this transformation. Eventually, philosophy changed completely field of research, but this will be discussed in the next article. Note 1) Today we know that DNA codifies everything lives, however DNA itself is not the design of the cat but the support on which the idea of “cat” is transmitted, in the same manner as the letters C-A-T are a linguistic support for the transmission of the idea of cat.